Despite upheaval in the retail industry that has resulted in thousands of store closures, price cuts on merchandise, and consolidation, there may be high demand for seasonal jobs this year, according to a forecast from global outplacement and executive coaching firm Challenger, Gray & Christmas. Recently, Target announced it was hiring 100,000 seasonal positions for the holidays, up from the 70,000 in-store workers and 7,500 fulfillment and warehouse workers announced last year. Target has also indicated it is lowering prices in all stores, in response to Amazon and Walmart’s price-slashing practices. “The competition among major big-box retailers will incentivize consumers to spend more this holiday season. These stores will need to add staff in order to meet demand,” said John Challenger, chief executive officer of Challenger, Gray & Christmas. Last year, seasonal retail employment increased by 641,000 during the final three months of the year, the lowest number since the 495,800 retail hires announced in the final months of 2009. The Challenger firm reports that last year’s job gains were also 9.6 percent lower than the previous year, when retailers added 708,800 jobs, according to employment data from the U.S. Bureau of Labor Statistics (BLS). However, BLS data shows that in 2016 transportation and warehousing employment increased by a non-seasonally adjusted 246,700 workers in the final quarter of the year, 8 percent higher than the 228,400 workers hired in this sector in the final three months of 2015. In 2007, the seasonal job gains for this sector measured just 24,300. 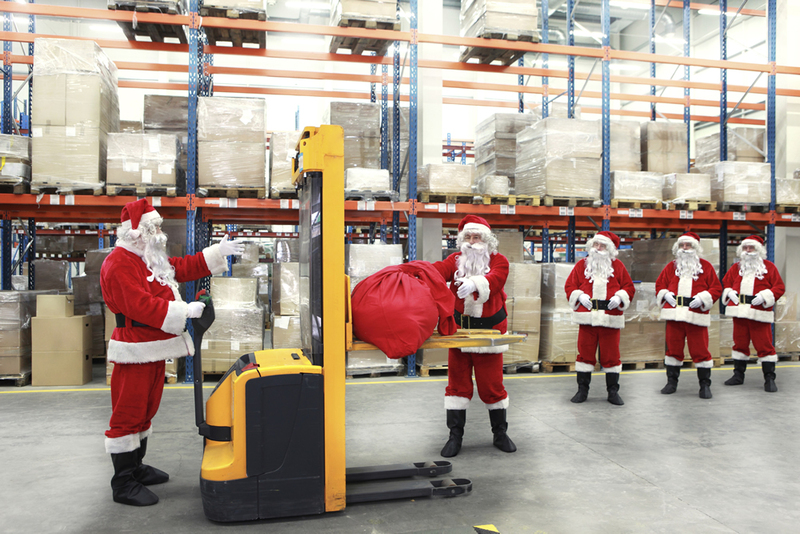 “As holiday shopping habits turn virtual, retailers are responding by hiring more warehouse and transport workers. While retail hiring has fallen over the last couple years, major announcements indicate workers will still be needed for customer-facing positions, as retailers attempt to give consumers an experience they cannot receive online,” said Challenger. In addition to Target’s announcement, Michaels has announced 15,000 holiday workers, and 1-800-Flowers will staff an additional 8,000 workers for the holidays. According to Challenger tracking, retailers have announced over 6,000 store closures and 67,000 job cuts in the first eight months of the year. However, despite these numbers, retailers project the highest number of hiring announcements for any industry – over 248,000. “Most of those hiring announcements came early in the year, as retailers like Walmart and Dollar General expanded. The Home Depot announced plans to hire 80,000 workers for the summer season in March. Meanwhile, Amazon has been steadily boosting employment rolls after a January announcement of over 100,000 hires in the next 18 months,” said Challenger. Since 2012, holiday hiring announcements have averaged 604,000 per year, according to Challenger tracking. Some of those announcements are from non-retailers, such as FedEx and UPS. Employers tend to get an early jump on holiday hiring; the bulk of hiring announcements occur in September. In fact, between 2011 and 2016, hiring announcements in September have averaged over 415,000.